Born: May 5, 1832 in Sandwich Ma. 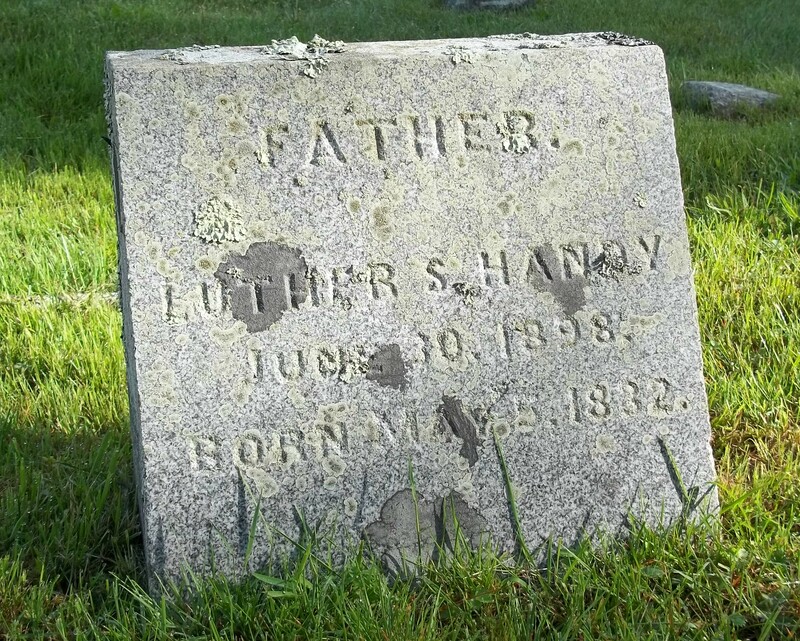 Died: June 30, 1898 in Somerville Ma. at 66 yrs,1 mo, 14 d.
To: Susan M. Gibbs; (1835 – 1915) (Robert Gibbs & Jedidah Baxter); Susan married (2) (–) Foster; She is buried in Forest Hills Cemetery in Jamaica Plain Ma. 1. Louisa L. Handy Wood Wilder; (July 9, 1855 – 1936); Married (1) Luther Addison Wood (Addison Wood & Zemira) on January 3, 1880 in Somerville Ma. & married (2) John Franklin Wilder (aka J. Frank) (1856 – 1923) (Josiah Seward Wilder & Eveline Lucinda Withington) on September 9, 1899 in Ludlow Vt.; John married (1) Elvira A. Rounds (1846 – 1898) (George Rounds & Arathina Wiame?) 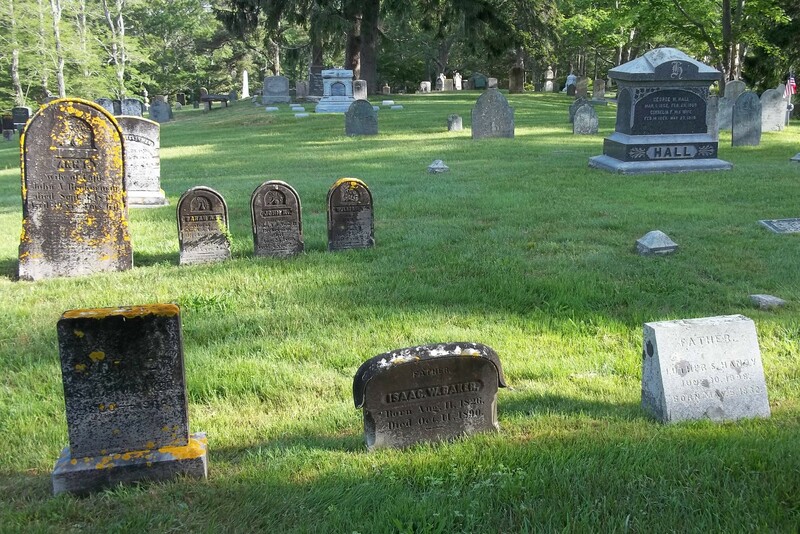 on August 2, 1880 in Ludlow Vt.; Louisa is buried in Hillside Cemetery in Townsend Ma. ; John & Elvira are buried in Pleasant View Cemetery in Ludlow Vt..
2. Lucy M. Handy Fenno; (March 2, 1859 – February 28, 1912); Married Henry Fenno (1854 – ?) (Henry Fenno & Elizabeth A. Wainwright) in Bostpn Ma. on August 21, 1883; Lucy is buried in Forest Hills Cemetery in Jamaica Plain Ma..
Married (2): November 28, 1871 in Charlestown Ma. To: Amy Dolan Robertson; (Abt.1833 – ?) (John Dolan & Bridget (–)); Amy married (1) (–) Robertson.